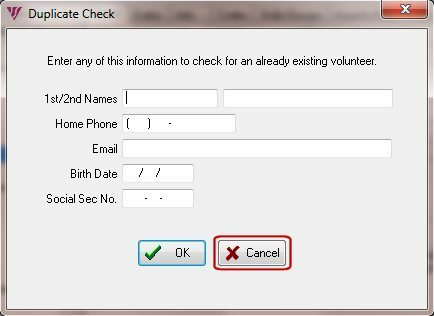 This enables you to copy an entire name and address of a volunteer at once so that you can then paste it into your word processor. 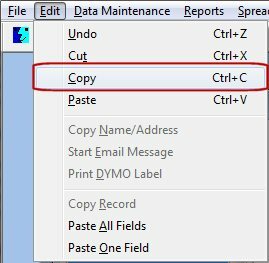 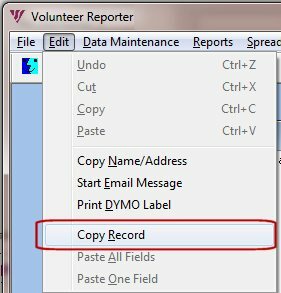 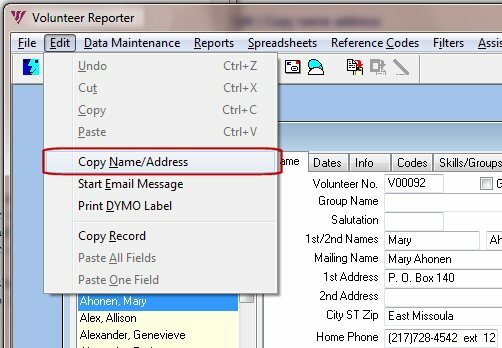 Simply select the volunteer record you want to copy and then select "Copy Name/Address" from the edit menu or the toolbar. 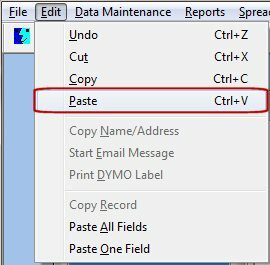 ... click Paste One Field.